As it stands, the Constitution makes no provision for the involvement of Parliament or even a selection panel of any sort. The President has complete discretion on who he wants to appoint into this crucial position. Last week’s Constitutional Court ruling on the validity of Shaun Abrahams’ appointment as National Director of Public Prosecution (NDPP) in 2015 can rightly be seen as a victory for the independence of our National Prosecuting Authority (NPA). 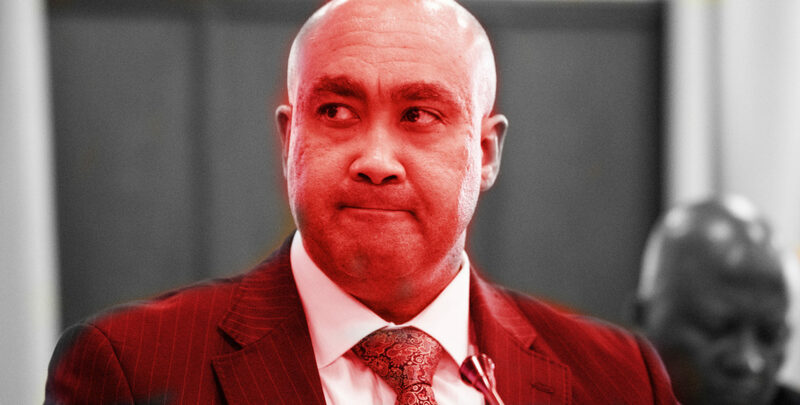 In addition to declaring both the resignation of former NDPP Mxolisi Nxasana as well as the subsequent appointment of Shaun Abrahams to the position invalid, the court also looked critically at aspects of the National Prosecuting Authority Act (NPA Act) that had the potential to threaten the independence of the NPA. Specifically, the court scrapped section 12(4) of the NPA Act, in terms of which the President had the discretion to allow an NDPP to stay on in his position past retirement age. The court further directed Parliament to effect changes to section 12(6) of the NPA Act, which allowed the President to suspend an NDPP for an indefinite period with no pay. In doing so, the court sought to remove provisions that has the potential to induce an NDPP to tailor his/her actions in order to curry favour with the President, either out of fear of being suspended for an undetermined period with no income or in the hopes of being allowed to continue on in the position after turning 65. These are important amendments that will help to safeguard future NDPP’s from being unduly pressured and influenced by the President. However, an equally important discussion that we need to have is on the current process by which an NDPP is appointed. As the matter stands, section 179 of the Constitution determines that the NDPP is appointed “by the President, as head of the national executive”. The Constitution makes no provision for the involvement of Parliament or even a selection panel of any sort. The President has complete discretion on who he wants to appoint into this crucial position. Having NDPPs not only sympathetic to his plight but often downright beholden to him was a big part of what kept Jacob Zuma out of the dock for the duration of his Presidency. When Zuma first became President in 2009 Mokotedi Mpshe was Acting NDPP. Mpshe was appointed to his position by Zuma’s predecessor Kgalema Motlanthe when the latter came to office after Zuma’s faction pushed Thabo Mbeki out and secured the presidency for Motlanthe. Mpshe was the NDPP that took the controversial decision, in April 2009, to drop corruption charges against Jacob Zuma. Later in the same year, Zuma appointed Menzi Simelane as the permanent NDPP. Simelane was followed by the infamous Nomgcoba Jiba, who was in turn succeeded by Mxolisi Nxasana. Nxasana was forced out of office in 2015, after which followed the appointment of Shaun Abrahams. Simelane, Jiba, Nxasana, Abrahams: each of these individuals are tainted in their own special way, but they all have two things in common. They were all appointed by president Jacob Zuma and every single one of them failed to prosecute him while he remained in office. Arguably, the President’s unfettered discretion in the choice of appointee is a rather serious chink in the armour that is supposed to secure the NPA’s independence. In 2013 the late Dene Smuts, a Member of Parliament for the Democratic Alliance, first introduced a Private Member’s Bill that sought to fix this flaw and bolster the independence of the NPA. The Bill suggested a constitutional amendment that would check the President’s powers to appoint an NDPP of his choice by requiring that he decides on an appointment only upon the recommendation of Parliament. This method of appointing an NDPP is similar to how the heads of Chapter 9 institutions are appointed and encourages selection on objective grounds during a transparent multi-party process. In 2014, ANC members in the portfolio committee before whom the bill was tabled voted against it in a Motion of Desirability. Shaun Abrahams was appointed by Zuma in the following year. Perhaps the succession of appalling prosecutorial decisions and the hundreds of thousands (if not millions) of rand that the state will now have to shell out in litigation costs could have been avoided if the bill was passed and Zuma’s power to appoint Abrahams at will had been curtailed by Parliament. It is high time that we learn from the mistakes of Parliaments past, and take immediate steps to prevent this from happening again. The DA will table a new Private Member’s Bill to address the issue. If the ANC is as committed to an independent NPA as they would proclaim themselves to be, then they must support the proposed amendments. Glynnis Breytenbach was formerly a state prosecutor employed by the National Prosecuting Authority and is at present a Member of Parliament and the DA’s Shadow Minister of Justice and Constitutional Development.